In the case of Long v. Hartford Life and Accident Insurance Co., No. 4:16-CV-00138 (M.D. Pa. Aug. 29, 2016 Brann, J. 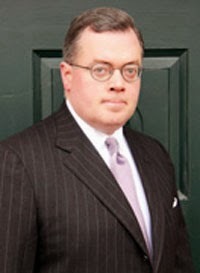 ), Judge Matthew W. Brann of the Middle District of Pennsylvania thoroughly reviewed the current status of the Iqbal/Twombly standard of review for federal court motions to dismiss in the context of breach of contract and bad faith claims arising out of an insurance dispute. The court granted the motion in part and denied it in part. More specifically, the court found that the Plaintiff had adequately pled a breach of contract claim and a general Section 8371 bad faith claim. However, the court granted the defendant's motion to dismiss another portion of the Section 8371 bad faith claim, finding that Pennsylvania law does not provide recovery for such a claim based upon alleged violations of the Pennsylvania Unfair Insurance Practices Act. Anyone wishing to review this decision by Judge Brann may click this LINK.